Hi! My name is Mr. Slim. Where is my breakfast? Where is my coffee with a delicious croissant? Where is my dessert? Would you like to solve block puzzles and get lot of berries? It's very funny! Each maze block puzzle need some experimental ideas. 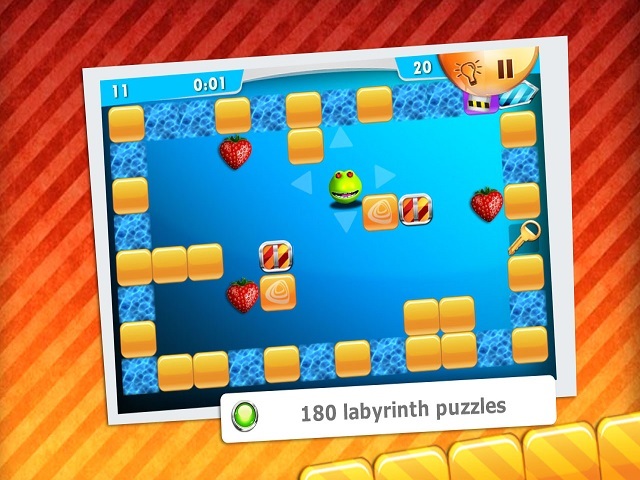 If you find solve of the puzzles, you get these delicious strawberries and unblock next puzzle. You will conduct Mr. Slim through levels of maze puzzles, to come up with complex combinations and show agility. Slim - is a simple and addictive puzzle game. If you like block puzzle games, unblock puzzles, labyrinth or logic arcade, this game is for you.